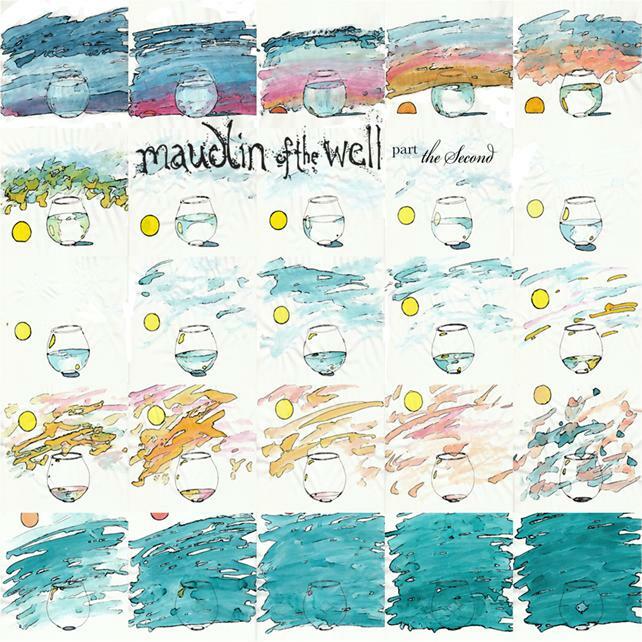 While this album has been released under the name Maudlin of the Well, it's hard not to compare it to "the band", ahem, Toby Driver's other outputs with Kayo Dot. The music is very much less raw than the original motw days, yet despite its refinement it still manages to be bold. This review will be different than my previous ones, as I will point out parts I really enjoy, rather than try and persuade you to get it. Hell, it's free, so I figure if you are already taking time to read this, you'll take the time to get the album. Excerpt from 6,000,000,000... (5:30-6:15) - Represents a shift in gears with a crashing chord a la King Crimson, fits beautifully into the rest of the song. (8:42-10:20) -Keys come in to provide pacing for the rest of the instruments, a wonderful touch. Guitar isn't overdone but is still present, something I have always loved about their style. Rose Quartz... (5:15-7:30) - Tapping into very Pink Floydish vocal style during this section. Actually quite tame compared to other motw sections, but I quite like it. It's difficult for me to choose between different motw and kayo dot outputs. As the old phrase goes, its like picking your favorite kid. But since this is the newest one, I'm going to fawn over it for a while.